How wonderful! Geminis’ horoscope will be blessed with Jupiter’s lucky energy from the start of 2017 through October. How wonderful! Geminis will be blessed with Jupiter’s lucky energy from the start of the year through October. Life could be sending gifts both big and small your way throughout this period, even if the other stars are taking a break. This means you should take this time to consciously appreciate nature’s little blessings, and to spend time enjoying pleasant moments with friends and family, treating them as gifts from above. The first bit of good news for Geminis will be coming in January - Jupiter, the lucky planet, will be helping this sign through to the first third of October. It will be in Libra, creating a beneficial trine Geminis will be able to rely on for their needs. The other planets won’t be in such favorable positions at the start of the year, however, which will affect the areas of love, dedication, and your professional situation. Mercury will also be in a retrograde position in the first days of January, so caution is appropriate in any negotiations or when entering into any contracts. The situation will improve quite suddenly in February. The stars responsible for professional matters, love, energy, and assertion will be moving to positions from which they can have a more positive effect. You will certainly notice this shift. In addition, Jupiter will have a positive impact, mitigating the impediments of Saturn - which will be in an opposition position throughout the entire year. Things will calm down in your professional life somewhat in the beginning of March, but starting in mid-March you can expect positive developments in this area. Venus will be in Aries throughout the entire month, which will be a noticeable, positive development. Because Venus is in retrograde, you might even see an old flame show up again. Mars will be providing a lot of energy, at least in the first third of the month, but will then reduce to a more normal level. And you’ll also be able to thank Jupiter once again for its contributions. Mercury will become retrograde in the second third of April, which once again points to possible communication difficulties. You should proceed very carefully in your career to ensure you don’t make any mistakes. If the mailman does happen to bring official notifications to your door, unfortunately there’s nothing to be done - they originated in the past, after all. Venus and Mars will reduce their support somewhat. However, Jupiter will not, and will remain reliable. It will continue to provide positive moments. May will be a high point for Gemini. Mercury’s retrograde period has ended, situations will normalize, and things will start to look up once again. Venus will be acting from Aries, forming a positive sextile from which Geminis will be able to benefit throughout the entire month. It would be hard to imagine a more favorable month for love. Mars has moved to your own sign, Gemini, and will be acting with its full power from there for an entire month. You can also look forward to happy moments thanks to Jupiter. What more could you want? Mercury will be in your own sign in about the second third of the month of June, which indicates a professional high point. It won’t be there for long, so you should use the chance quickly while you have it. This will be the best time to seek out a raise or even to change jobs. There are lots of possibilities during this time. Support is guaranteed to come from Jupiter. The other stars won’t have much to report, however. Venus will be entering your sign during the first few days of the month, meaning that it will be giving Geminis first preference in all matters of the heart. This will be the high point of the year when it comes to love, so keep this in mind. There will certainly be other good times over the course of the year, but this constellation only comes about once a year. Now could be the time to meet your soul mate, if you get out often and spend time with friends. July would also be an ideal time to get married. Gemini: What are the best dates for finding an new love in 2017? August will not necessarily be a high point in the year for Geminis. Due to Mercury’s retrograde position, Geminis may need to deal with communication difficulties that come up in their professional lives. In any case, the utmost caution is urged when it comes to negotiations and similar matters. Venus’s strong influence over July will also be shrinking to a more normal level. However, Mars on the other hand will be acting with great power to balance some things out. And, above all, you can continue to rely on Jupiter. It will be responsible for sending a few lucky acts of providence to bless Geminis. Mercury’s retrograde period will be ended at the start of September, but Mercury will then move to Virgo. This does not represent a beneficial aspect, so you won’t be able to count on much help from the stars during this time. However, things look significantly better on the love front. Venus will be in Leo during the first two thirds of the month, leading to positive prospects for Geminis. Geminis will also still have Jupiter on their side, and the planet will most likely still have a few positive surprises up its sleeve for them. Mercury, Venus, and Mars will all be entering Libra during the month of October, which means Geminis will enjoy the beneficial influence of a trine. The areas of career, love, and personal power will all be favored. What more could you want? This will truly be a very satisfying month. There’s really nothing more to say - other than that Jupiter will continue to have a positive effect on Geminis, with a few happy surprises thrown in the mix. Unfortunately, this will be the last time this happens. This is the forecast for the zodiac sign Gemini in 2017. After enjoying an unusual level of engagement and help from the stars in October, they will be withdrawing their support in November and returning things back to normal levels. You’ll have to learn to accept normality once again, as well. Of course, we all know life isn’t just one bit roaring, raucous party - over time, such “happy” circumstances might turn into just the opposite. Just have a little patience; the crest of the wave will be in sight once again soon. Mercury already entered Sagittarius in December, which will indicate very good prospects in your professional life. Unfortunately, there is a small flaw here as well - Mercury will be in retrograde in the first few days of December, which could lead to disruptions in communication. But with concentration and precision in negotiations and similar matters, you can avoid these. Venus will also be entering Sagittarius, which is another positive development as it will be passing its passionate love energy on to Geminis. As we all know, if your love life is exciting and fulfilling, the other challenges of life might not seem so difficult. Geminis love renewal, and thrive when living a life marked by frequent changes. They are gregarious, and love to ask questions. 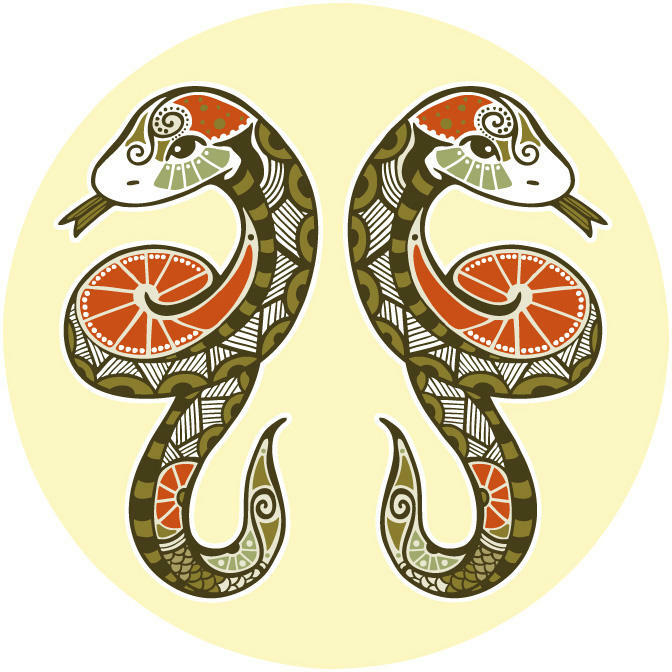 Read our portrait to find out everything about the zodiac sign Gemini.